Interested in getting an Instant Pot, but not sure where to start? 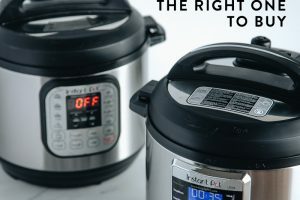 In this Instant Pot Buying Guide, you’ll find a quick overview of the Instant Pot models, a comparison between the most popular Instant Pots and tips on choosing the right one for you! Since I shared 5 reasons why I love my Instant Pot, the question I’ve received most is which Instant Pot should I buy. It’s a fair question, but it can be a confusing one to tackle. Mainly because there are quite a dizzying array of Instant Pots to choose from! 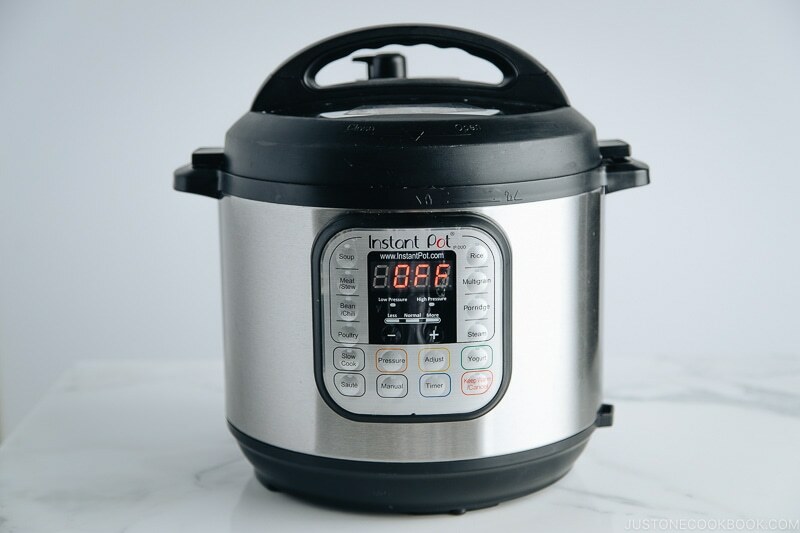 Just like shopping for a camera or a laptop, Instant Pot comes in different sizes, models, and styles – each one even has a fancy name that comes with a string of numbers. How are they different from each other? What do I need to know before I make my purchase? To be honest, I get pretty overwhelmed by the options and asked the same questions myself too. 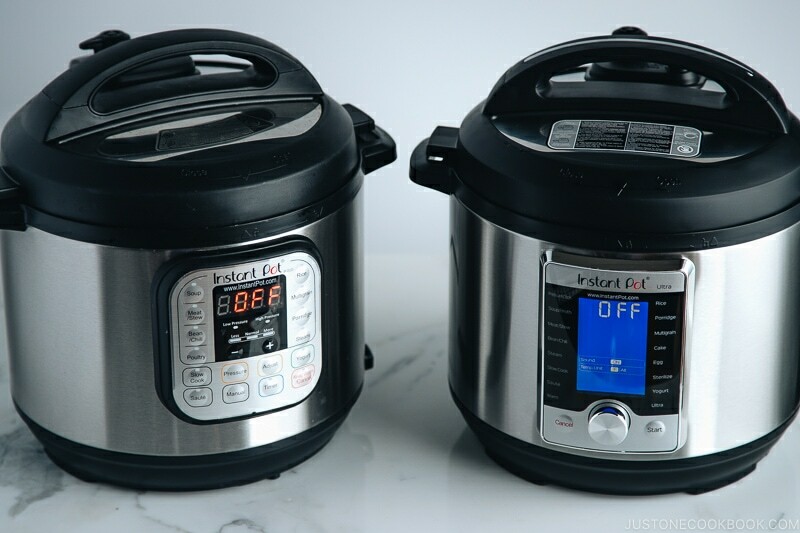 Comparison between the latest and most popular Instant Pots: Instant Pot Duo VS Instant Pot Ultra. 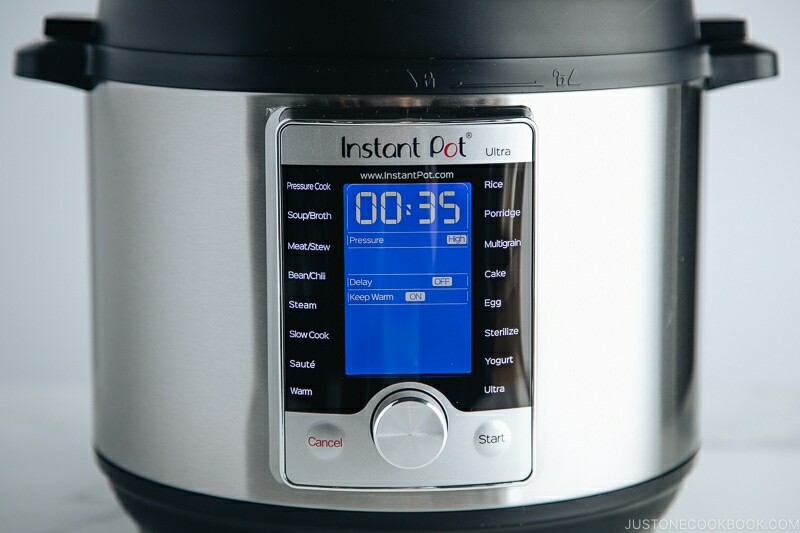 If you are very new to the Instant Pot, you can read this introductory post. 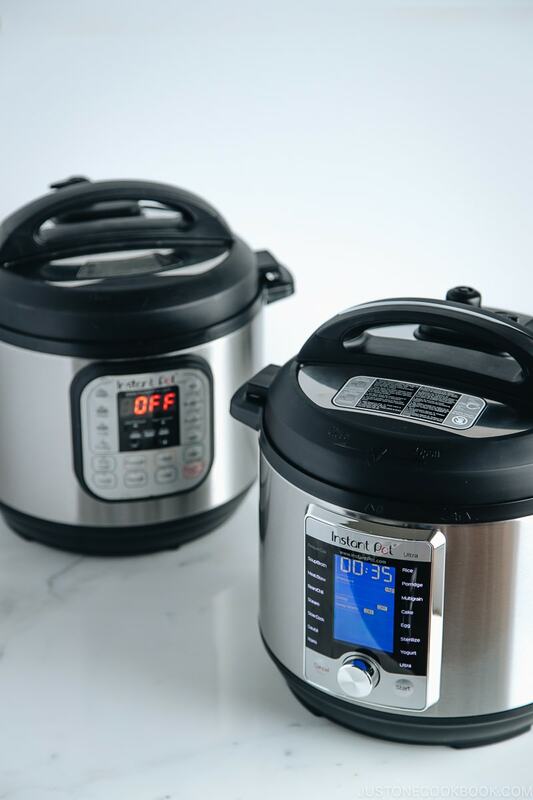 There are currently five main Instant Pot models: Duo, Lux, Ultra, Smart, and Max (shown from the left in the picture). There is also the Duo Plus, which is an enhanced version of the DUO models. And there is the GEM which is more like a slow cooker than a pressure cooker. Most models come in four different sizes – 3 Quart, 5 Quart, 6 Quart, and 8 Quart, but not all models come in all sizes. 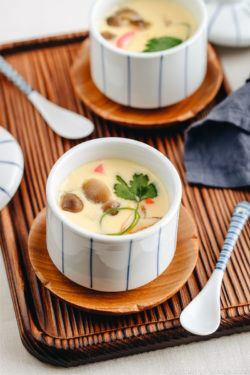 All Instant Pots are very similar in terms of pot size and voltage; they also share the fundamental features and functions: high-pressure cooking, sauté/ browning, slow cooker function, steaming, rice cooker, yogurt making, and a warming pot. So what is the main difference between all the Instant Pot models? It all lies in the software. Which translates to how many cooking programs they have. Based on reviews and the many enthusiastic fans from the main Instant Pot Facebook group, we can safely conclude that the most popular Instant Pot Model so far is the 6QT Duo (the one I’ve been using for the past 4 years). And there is also the latest model Ultra that has been getting a lot of raves. I just received my Ultra and have been doing some testings, so my focus would be the comparison between these two most popular and talk-about Instant Pots. The Instant Pot Duo is Instant Pot’s third and most successful model so far. It’s a 7-in-1 cooker, with two pressure settings (high and low). It’s very easy to use and everyone who owns this model has little complained about it. You’ll also find the Duo Plus, an upgraded version to the Duo model with some redesigned features. As a 9-in-1 cooker, it includes additional settings. You can cook eggs and make cakes with it. And its added sterilizing function allows you to sterilize bottles and even pasteurize milk! In short, it can pretty much do everything you could ask for from a cooker. The Instant Pot Ultra was introduced in April 2017 and is considered the newest product from the family. The main thing you’ll notice is its large LED display, one dial, and two small buttons. Very sleek interface. It is a 10-in-1 cooker, with more versatile functions than the DUO. It includes egg, sterilize, cake, and ultra cooking programs. Ultra cooking program allows you to control every part of the cooking process (custom temperature/pressure/cook time based on your desired results), which 9-in-1 Duo Plus does not offer. In terms of design, the Instant Pot Ultra definitely stands out as the best and modern looking member of all Instant Pot siblings. The large LED display actually shows a lighted blue heating curve which tells the cooking cycle of your food. How cool is that?! I cannot help myself but keep walking back to the kitchen to check on the blue chart to see where my food is at. It’s addicting like monitoring your heartbeat. I also love the new auto-closing pressure valve that is built into the lid, with no handle and no shelf! 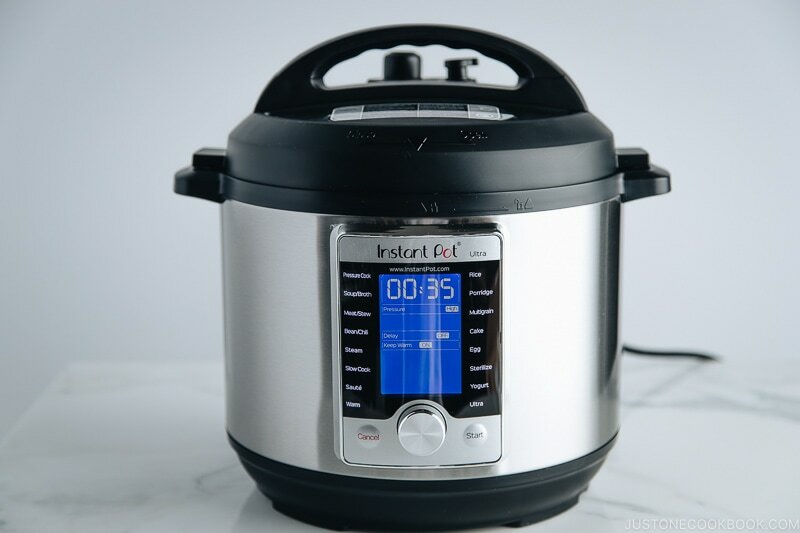 Compared to Instant Pot Duo and the other older models which come with a weighted pressure valve with a handle, the improved design is so much better. 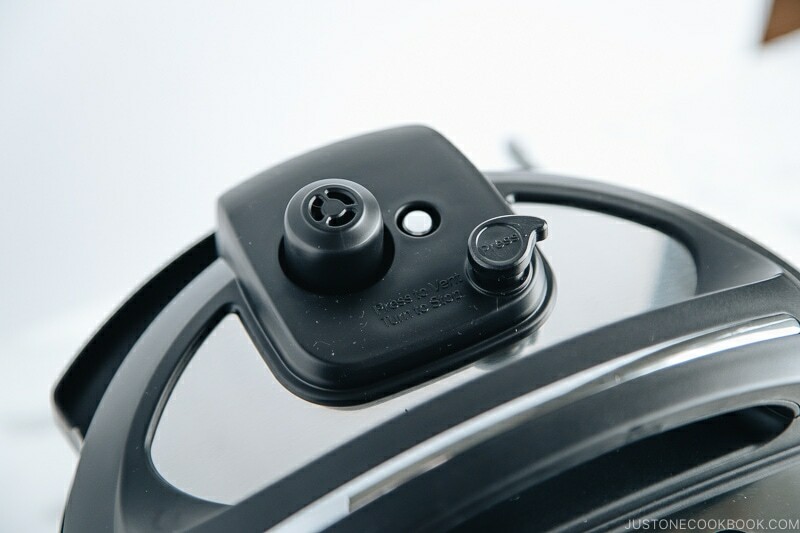 The system automatically closes the pressure valve when the lid locks, which makes it safer and easier to use than ever. No more forgetting to check the valve! 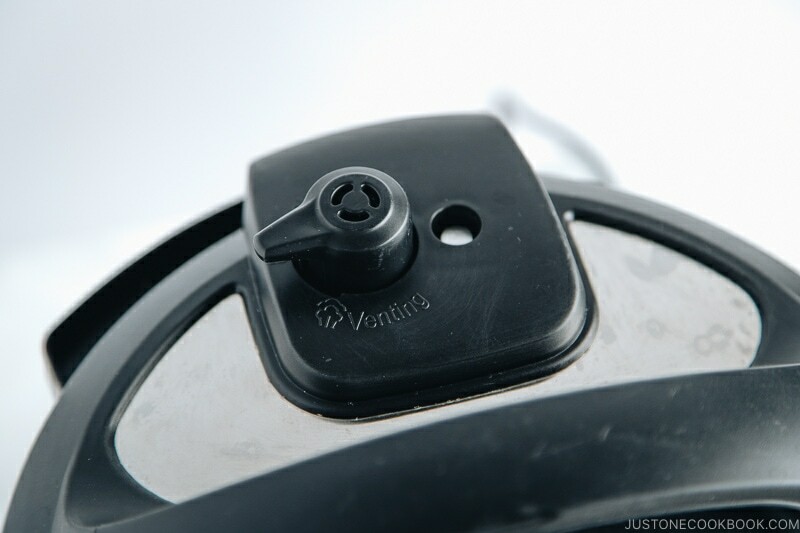 Instant Pot Ultra has a new feature, a pressure release “button”, which acts as a lever to open the valve. Even though the “button” is located very close to the valve and not far enough that you feel 100% safe, it makes you feel slightly safer compared to the Duo, which the lever to release pressure is located on the valve itself. The Ultra setting for Instant Pot Ultra allows you to control every part of the cooking process. You can now choose the pressure level (none, low or high), cooking time, set delay timer, and custom temperature based on your desired results. That’s pretty groundbreaking for a cooker. I can finally make Amazake (fermented Japanese rice drink) which requires temperature control between 125-140 ºF (50-60 ºC), scald milk at 180°F/82°C and melt chocolate at 104°F/40°C. While the Duo is 7-in-1 and Duo Plus is a 9-in-1, Instant Pot Ultra is a 10-in-1! 10 sounds like a perfect score, doesn’t it? I know, what else can this magic cooker do? If you do all sorts of fancy cooking methods, you’d thrilled that you can now carry out sous-vide cooking with Instant Pot Ultra! Please note: It is not going to be as accurate as dedicated sous-vide cookers. Maybe because I’ve used the Duo long enough, I personally find the model more intuitive & straight forward. The press button control works incredibly well and I can figure out the settings very quickly. However, the Ultra model comes with a knob (calls the selection dial) which works as the control of the different programs of the cooker. It is probably the main design complain I have with Ultra. Since the ‘knob’ seems to be very sensitive, if I accidentally spin the knob too fast, it can jump from changing minutes to hours. 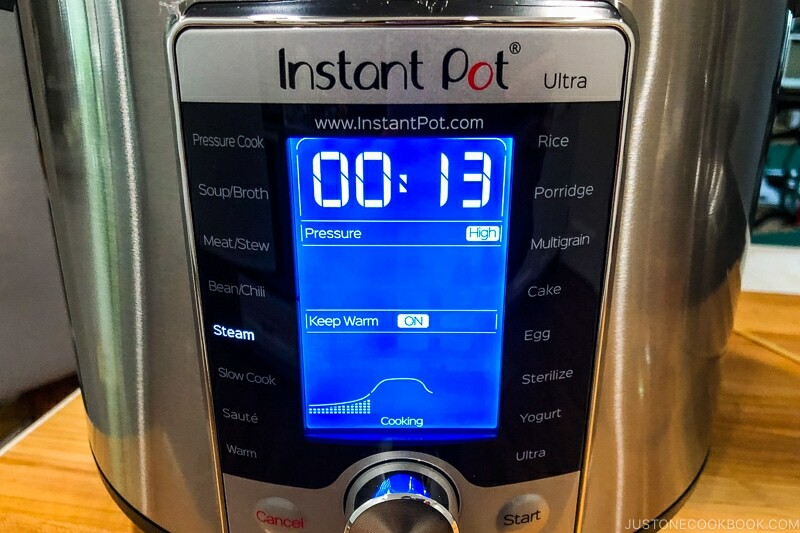 It is definitely a bit more complicated to use, but at the same time, Instant Pot looks great with just one central dial to do every adjustment instead of extra buttons. 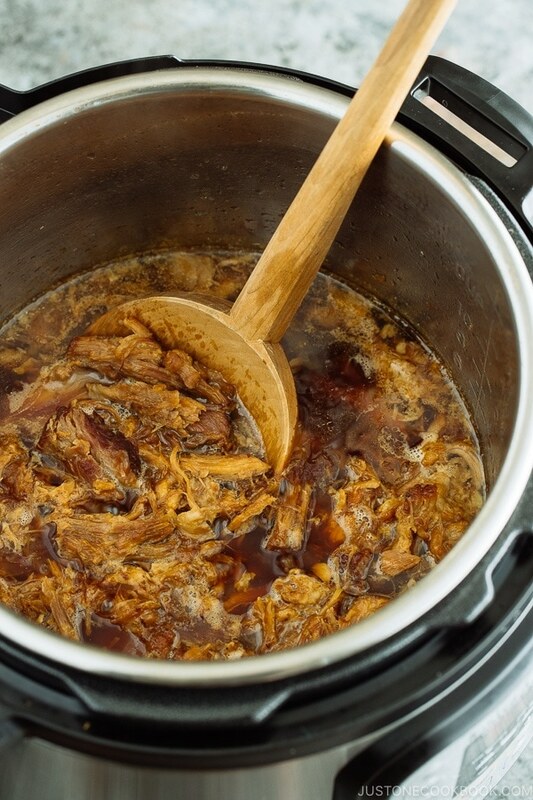 If you’re not familiar with Instant Pot, you may take a longer time to get a hang of it. Pricing wise, the Instant Pot Duo is definitely more affordable and a lot cheaper than the Ultra. Another great thing about Instant Pot Duo is it goes on sale all the time! So you may score a really good price during Amazon Black Friday or whenever there’s a big sale going on. How to Decide Which Instant Pot Should You Buy? What type of cooking will you do most of the time? 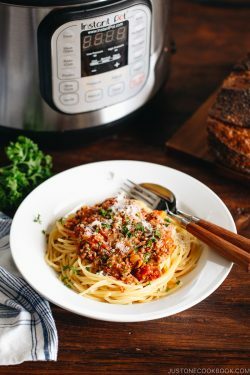 Overall, I would say the Instant Pot Duo would fit pretty much all the cooking needs for majority home cooks. It does both most commonly used cooking duties – pressure cooking and sauteeing – beautifully. You’d get a pretty value for the price you pay ($79.99 for prime). If you’re all about practicality, you would be very happy with your Duo. If you have a higher budget and do all the fancy cooking like sous vide, Instant Pot Ultra ($148.96) would be an attractive one to get. The “Ultra” mode has the custom temperature and pressure control features, which are truly amazing. If these are important to you, then go ahead with Instant Pot Ultra. Instant Pot Duo Plus has more programs than Duo, including egg, cake, and sterilize modes (but no custom Ultra mode), and the price is $99.95, a sweet spot between Duo and Ultra. Which Size of Instant Pot Should You Get? For a household of 4, I use 6-quart Instant Pots. The size is perfect for us. It’s recommended for 2-4 people. If you are cooking for more than 4, the 8-quart would be the size you should get. Another thing to consider is if you like to do big batch cooking, then you may want to go with the 8-quart. It would come especially handy when you cook for a big crowd on special occasions or during the holidays. For anyone who cooks for one or two persons with small kitchen space, the 3-quart, aka the Mini, is great. If you live in high altitude, Instant Pot Ultra features an automatic elevation adjustment that you can turn on in the settings screen for up to 9,900 feet. The automatic part is that the Ultra re-calculates the pressure cooking time for you. Maybe this may help you? Do You Need to Upgrade Your Current Instant Pot Model? If you already have the Instant Pot Duo, I don’t think it’s necessary to get a brand new Ultra. Unless if you see yourself doing a lot of cooking which requires the custom setting for pressure, temperature, or cooking time, then an upgrade would be a worthwhile investment. I like that Ultra offers 3 saute temperatures and also allows me to set a custom temperature, which is similar to having a stovetop. After all, there’s always someone you can hand down your Duo to. I’m not here to sell the Instant Pot, but please note that I have affiliate links in this post. Many of you have reached out and asked my opinion about the appliance, so these are my honest and unbiased views. I have personally sponsored to give away many Instant Pots and shared many Instant Pot recipes on Just One Cookbook. It has served 100s of our family dinners and I can’t imagine my kitchen without it. Hopefully, this guide will help you decide which Instant Pot you should buy. Have you tried Instant Pot Ultra? What are some of the pros and cons you’d like to share? And if you have any favorite resources or helpful guide about Instant Pot, please leave your comment below. We’d love to hear your feedback. Thank you to Instant Pot® for sponsoring this post. All opinions are 100% honest and completely my own. Without a circulator, it would be difficult to do sous vide properly. It’s just an extra gizmo without any real benefit. Nobody needs an egg mode. I’ve done hundreds of eggs in a Duo using high manual mode. There are many time/temperature guides for eggs. Hi Bkhuna! I agree, but there are a lot of people trying to do sous vide without spending money on a sous vide machine, and this is probably one option that may be a plus for those people. As I mentioned in the post, it won’t be as accurate. I’m curious and want to see the accuracy using a thermometer. I doubt people buy the instant pot to do a sous vide, but maybe if it’s accurate enough (range wise) maybe it’s good to have? Right, these extra buttons are for one-click start, you don’t really need it. 😀 Thank you so much for your feedback! This is really an informative and fabulous article Nami !!! 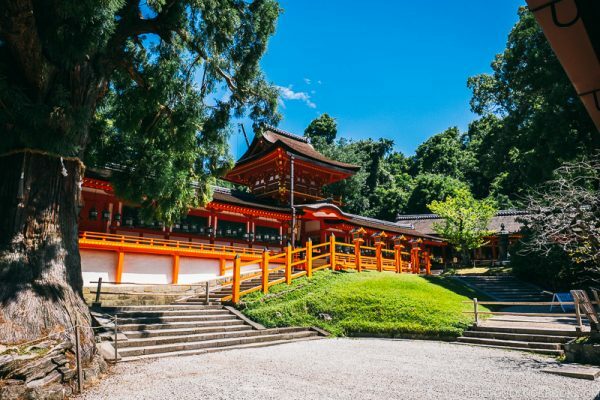 Clearly a lot of thought went into… Domo Arigato !!! She has. 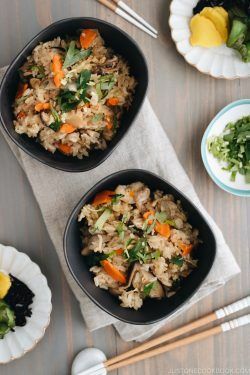 In fact, it’s called — astoundingly enough — “How to make rice in an instant pot” and it’s pretty much what’s on the tin. Useful, isn’t it? Two years ago some friends gave us a great cooking pot. Actually it is two pots in one, like a double boiler. You put the food in the removable inside pot, put that into the outer pot, & place the whole thing on the burner. When hot take it off & leave it to cook. 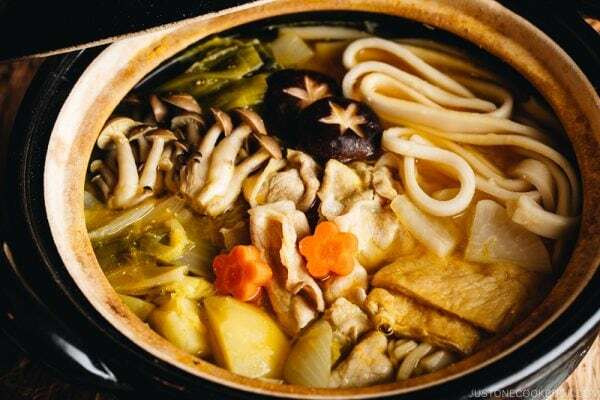 Makes great soups, tender meats, delicious fish dishes, and just about anything else you desire. Heat it & eat it ! Hi Jessica! Ugh, what a price! Is there anything similar in Australia? I think it was a similar (maybe slightly cheaper) price in Japan too but the issue is more about this gigantic appliance in a small Japanese kitchen….